The article “Reconsidering ‘Set the People Free’: Neoliberalism and Freedom Rhetoric in Churchill’s Conservative Party” by James Freeman (University of Bristol) has been published in Twentieth Century British History (29:4, 2018). Freeman studies the party’s emancipatory rhetoric in the immediate postwar period and writes that “such rhetoric was a complex response to Britain’s immediate economic difficulties and the political challenges presented by austerity.” The party’s calls to ‘set the people free’ during the 1950 and 1951 elections “stemmed from a belief that rhetorical opportunity lay in reconciling liberty with security” and also reflects the moving beyond a compromise with the ‘Attleean settlement.’ The journal’s web site is here. Eight of the most important speeches given by Winston Churchill from 1938 to 1945 are analyzed in “The Retrospective Analysis of Selected Speeches Given by Winston Churchill from 1938 to 1945” by Aleksandra Misior-Mroczkowska (PhD student, University of Warsaw) and published in Styles of Communication (10:2, 2018). The article studies the content of the speeches (the “used arguments”) and applies textual markers, such as situationality, emotional attitude, recent history references, and remote future references. Misior-Mroczkowska concludes that “in most cases [Churchill’s] speeches were largely focused on the present situation” and “used the future only when the current situation was immensely difficult and Churchill wanted people to focus on future victories.” The article is available here. The April issue (#130) of the Churchill Bulletin: The Newsletter of Winston Churchill has been released. It includes articles on a Brexit debate held on March 19 at the National Churchill Library and Center and a review of Churchill’s Bestiary: His Life Through Animals. The Churchill Collectables column features the Wartime Avon ware Toby Mug and the Churchill Style column discusses his book-buying spree in 1906 as he built his library. The bulletin is available here. Andrew Wallace contributes to the recent surge in research on Winston Churchill’s medical history with “Faithful but unfortunate: Churchill and his shoulder,” published in Shoulder & Elbow (11:1, 2019). Churchill injured his shoulder on arriving in India in 1895 and suffered recurrent problems with his shoulder thereafter. Wallace discusses Churchill’s shoulder issues and considers contemporary progress in shoulder surgery. The website for Shoulder & Elbow is here. 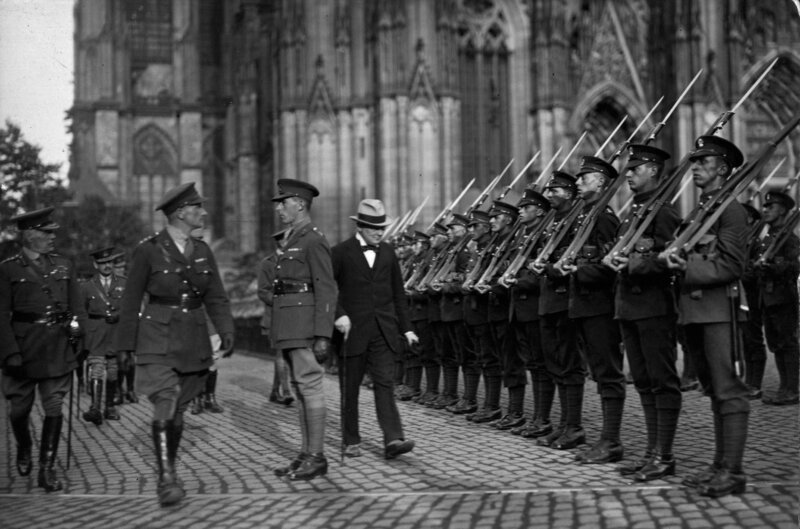 In the aftermath of the armistice that ended the First World War, Winston Churchill, as a member of David Lloyd-George’s cabinet holding the positions of Minister of War as well as Minister of Air, recognized that a series of “new threats, foreign and domestic” had presented themselves. Andrew Roberts, author of Churchill: Walking with Destiny, considers Churchill’s thinking on these new pressing problems in the article “What if Churchill Had Been Prime Minister in 1919?” published in the New York Times (March 28, 2019). First among the threats were the Bolshevik Revolution in Russia and the peace treaty with Germany. Churchill’s thinking was summed up by Churchill himself as “Kill the Bolshie, kiss the Hun” as he urged a settlement with Germany and Austria, while deploying resources to aid the White Russians in the defeat of the Bolsheviks. Roberts concludes that “what a different — and undoubtedly better — world we missed because Winston Churchill was not heeded a century ago this year.” The article is available here. Charles De Gaulle’s country house of La Boisserie was located in the village of Colombey-les-deux-Eglises in a remote part of eastern France, a five-hour train journey from Paris. Bought in 1934, the property was “modest with minimal comfort” set amidst a “bleak panorama of endless forest” that was “grandiose in its monotony.” During the 1950s, as De Gaulle walked endlessly in its gardens largely cut off from the outside world awaiting his next historical moment, Colombey became part of Gaullist mythology and, as Julian Jackson observes in De Gaulle, a “literary genre.” De Gaulle himself proclaimed it a place of solitude where the “wild depths of the forest invades the site like the sea beating at the promontory,” while a visitor called it an “austere Wuthering Heights.” As Jackson wryly writes, “in no report of a visit to Colombey does the sun ever seem to shine or the wind not blow.” Colombey could not have been more different from Chartwell, Winston Churchill’s country home in Kent. No visitor would ever have called the charming property “bleak” or even more unlikely called its comforts “austere” as Churchill was famously only satisfied with the best of everything. Colombey and Chartwell are apt metaphors for the similarities and differences between the two men who became the embodiment of their countries in the summer of 1940. 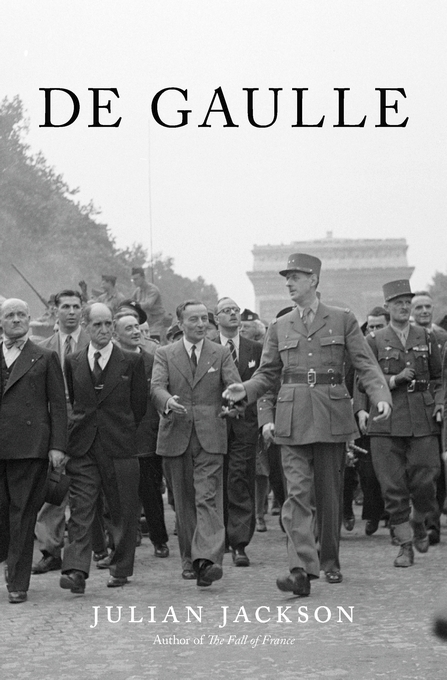 The relationship between Churchill and De Gaulle (with the Frenchman’s lasting ingratitude to the British who created De Gaulle in June 1940 when he was almost entirely unknown in France) is covered in De Gaulle by Julian Jackson (Queen Mary University of London). The majestic one-volume 800-page biography is beautifully written and a judicious treatment of the epic story that is De Gaulle’s life. Largely a political narrative, Jackson also writes of the sad story of De Gaulle’s daughter and of his very private relationship with his wife Yvonne. De Gaulle ranks alongside Churchill: Walking with Destiny by Andrew Roberts, also published in 2018. Both books have been rightly acclaimed as the best one-volume biographies yet published on their respective subjects. Reviewing the index of both books provides a further interesting means of comparing the two figures. Among the sub-headings in the Roberts index under Churchill, Sir Winston – Characteristics and Qualities are: alcohol consumption, sense of destiny, self-confidence, ruthlessness, insensitivity, photographic memory, unpunctuality, physical courage, formidable energy, magnanimity, criticized for lack of judgement, and ignoring of all ‘No Smoking’ signs. The De Gaulle index includes among the sub-headings under Personal Characteristics: arrogance, austerity, authoritarianism, cigarette smoking, coldness, contempt for human nature, height, indifference to physical danger, isolation, memory, recklessness, self-belief, and unsentimentality. With such a list it might be observed that these two very different creatures – the cold, Spartan-like and religiously devout De Gaulle and the occasionally emotional Churchill who had a distant relationship with his maker – could at least take a break during their many bitter quarrels to enjoy a smoke in each other’s company. The March issue (#129) of the Churchill Bulletin: The Newsletter of Winston Churchill has been released. It includes articles on the 2019 Churchill Conference, new art exhibits at Blenheim Palace, and a Churchill collectables column featuring an event program and bearer’s pass for a Great War demonstration addressed by Churchill. The bulletin is available here. The spending of two school holidays with the Churchill family at Chartwell is recounted by Jonathan Dudley in his short memoir Winston, Churchill, & Me. A school friend of Winston Churchill (the son of Randolph Churchill and grandson of Winston Churchill) at Gibbs, a pre-preparatory school, the eight year-old Dudley was invited to Chartwell for the holidays in August 1949 and invited back again the following year. Dudley along with Winston played on the grounds, swam in the pool, and met the members of the Churchill family and saw some of the important visitors coming to see Churchill. He recalls the excitement in August 1949 with the general elections expected shortly (it was held in February 1950). 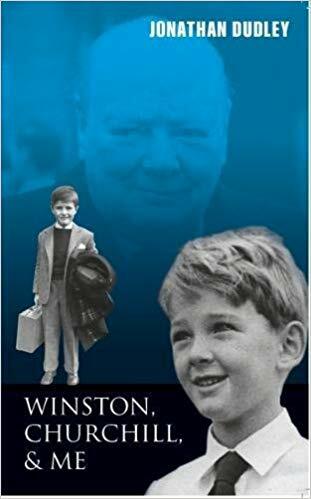 The hero of the book is Clementine Churchill who Dudley writes appeared to “sail through the day with a grace and composure.” Winston, Churchill, & Me is a wonderful book that provides a brief intimate glimpse of the family life of the Churchills. 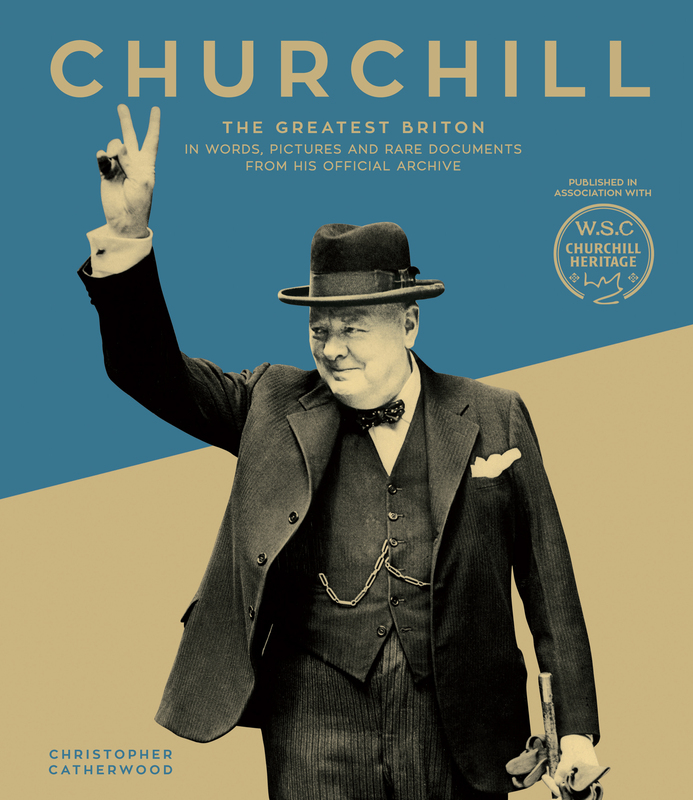 Churchill: The Greatest Briton in Words, Pictures and Rare Documents from his Official Archive is written by Christopher Catherwood and published in association with Churchill Heritage. A well-designed pictorial biography, it provides over 135 photographs as well as reproductions of several documents (school report, letters, the Boer War “Wanted” poster, the bricklayer card, posters, magazine covers). Also included are paintings by Churchill, including Riviera Scene and Gate in Marrakech, A Man on a Donkey. The chronological overview of Churchill’s life is supported by a series of sidebars on personalities (FDR, TE Lawrence, David Lloyd George, Bernard Baruch, Clementine Churchill), events (Churchill and Norway, Churchill and the abdication crisis), and issues (Churchill and the 10-year Rule). Catherwood is the author of several books, including His Finest Hour: A Biography of Winston Churchill, Churchill and Tito, Churchill’s Folly: How Winston Churchill Created Modern Iraq, and Winston Churchill: The Flawed Genius. Anthony M Daniels and J Allister Vale. “Did Sir Winston Churchill suffer from the ‘black dog’?” Journal of the Royal Society of Medicine (2018, 111:11, 394–406). The iconic bronze statue of Winston Churchill in the Members’ Lobby of the House of Commons shows its subject with his hands on his hips striding forward and conveys, as the sculptor intended, “an idea of impatience and hurry, or a man wanting to see something done.” Unveiled by Lady Churchill in 1969, the statue has since developed a shiny toe as by tradition it is rubbed for luck, including by members of parliament on their way to making their maiden speech to the House. The statue was the work of Oscar Nemon, one of the most famous sculptors of the 20th century. In addition to the statue in the Palace of Westminster, Nemon completed busts and statues of Churchill for, among other places, Windsor Castle, the Guildhall, Capitol in Washington, Hyde Park, and Chartwell. A Jewish refugee from Yugoslavia who fled to Britain before the Second World War, Nemon created brilliant sculptures of Queen Elizabeth II and other members of the Royal Family, Eisenhower, Macmillan, Beaverbrook, Freud, and Montgomery. 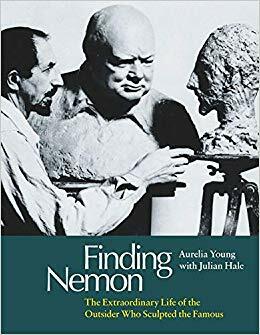 Finding Nemon: The Extraordinary Life of the Outsider Who Sculpted the Famous, by his eldest daughter Aurelia Young and co-author Julian Hale, is a personal memoir and biography of its subject. A chapter of the book is devoted to Nemon’s friendship with Churchill, who he met, not entirely by coincidence, at the La Mamounia Hotel in Marrakesh in January 1951. Churchill’s lone try at sculpting is recounted in the volume as he turned the tables and made a bust of Nemon. One cast of Churchill’s sculptor is held at Chartwell and the other is at the Churchill War Rooms. A delightful read, the book is heavily illustrated with photographs (including of Nemon’s work) and provides an intimate portrait of the artist.